Barbecue season is upon us and what would the summer be without Suya? 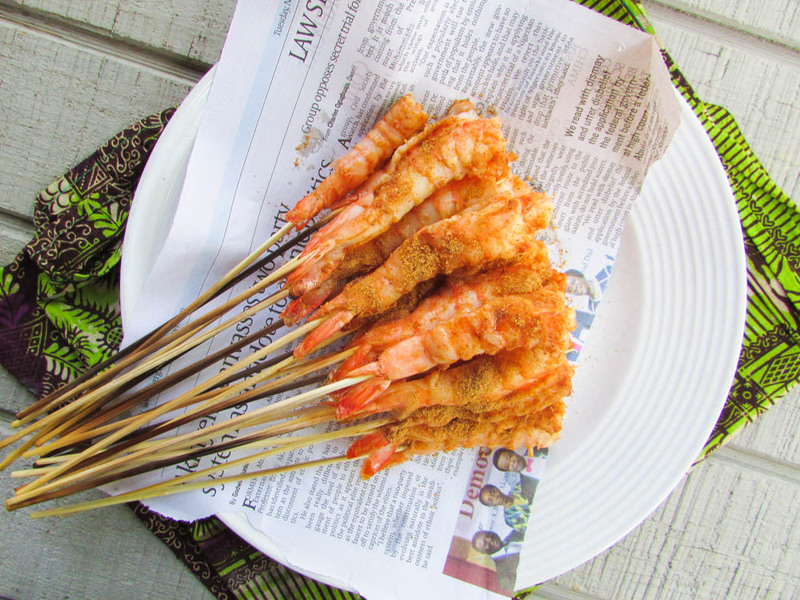 shrimp suya for that matter. Haba! e must be o (It has to happen). I came up with this method once it was getting hot and I needed something quick for my ajebutters and I. 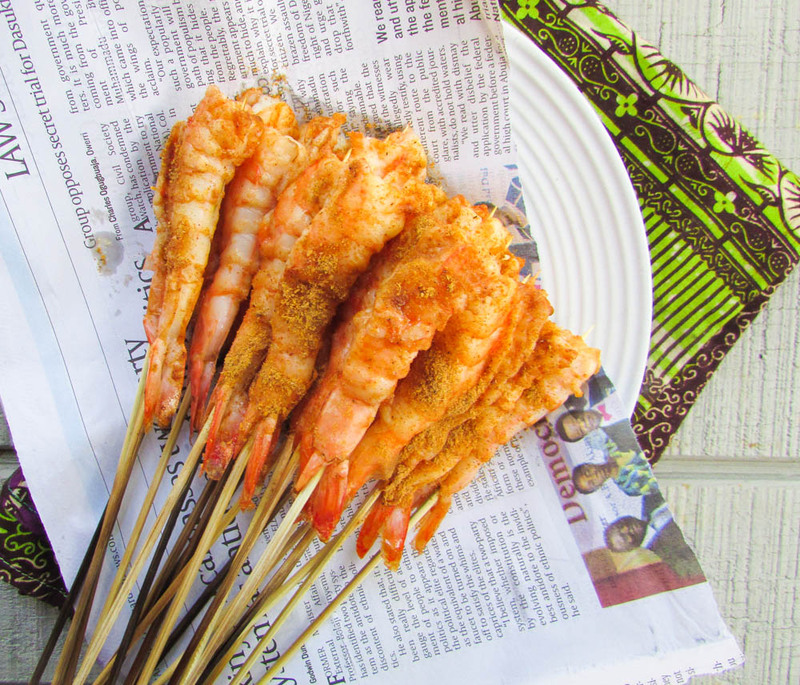 My ajebutters love Suya on a stick and when I said shrimp they leaped for joy! Surely a Eureka moment. 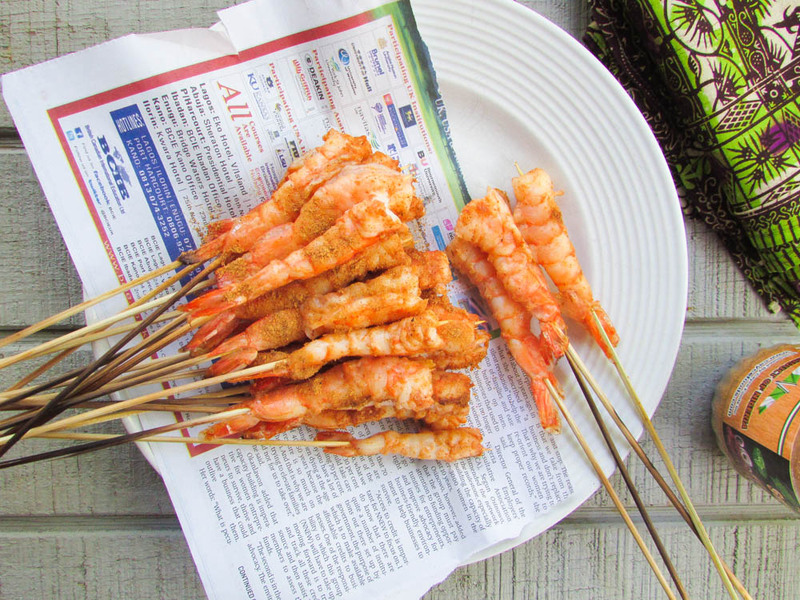 This shrimp Suya will so go with some cool Zobo. Okay, imagine the spicy shrimp in your mouth along with some chilled Zobo. Did someone say heaven? Yes, heaven in your mouth that is. If you do not have any Yaji powder i.e. Suya powder, some dry pepper/chili, Cameroon pepper or some dry chili flakes will do. Food is versatile my people. in a bowl, mix the suya powder with the oil and bouillon; then pour onto the shrimp and coat each of them with the suya powder and oil mix. Season with salt if need be. Cover and let the shrimp marinate for about 30 minutes to an hour. This entry was posted in Appetizers, Barbecue Recipes, Barbecued fish, Beef suya, Fish Recipes, Nigerian Suya, Protein, Seafood, Street Snack, suya and tagged barbecue prawn recipe, barbecue recipe, barbecue seafood recipe, barbecue shrimp recipe, barbecued shrmp recipe, beef duya recipe, Blackened shrimp recipe, chicken suya recipe seafood suya recipe, grilled shrimp recipe, how to make suya, shrimp kebab recipe, shrimp suya recipe, Suya recipe.